Fourth Of July Party Fun! - Items Starting At $2! You are here: Home / Holidays / 4th Of July / Fourth Of July Party Fun! – Items Starting At $2! Fourth Of July Party Fun! – Items Starting At $2! 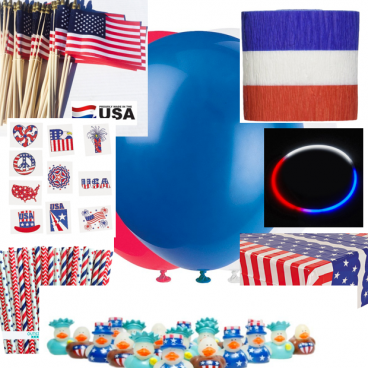 So many fun items for a Fourth of July party! What could be better than a Red, White and Blue themed party to celebrate our Independence Day!